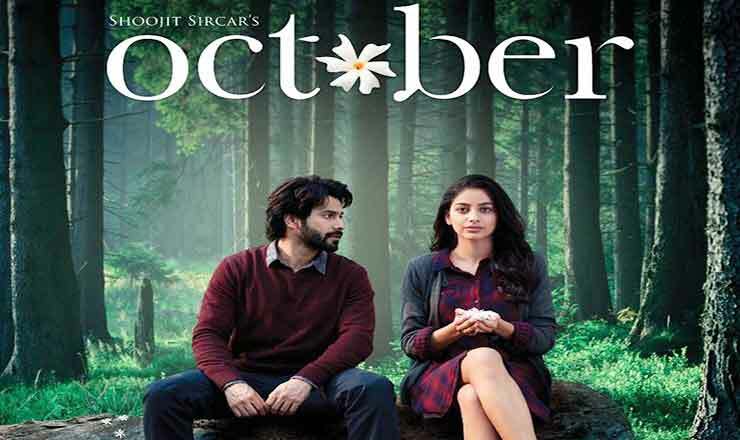 October is romantic Bollywood film features Varun Dhawan, Banita Sandhu and Gitanjali Rao in lead roles. The movie is directed by directed by Shoojit Sircar and written by Juhi Chaturvedi. Produced by Ronnie Lahiri and Sheel Kumar under Rising Sun Films productions. The music is of the film is composed by Shantanu Moitra, Anupam Roy and Abhishek Arora, songs were penned by Abhiruchi Chand, Tanveer Ghazi, Swanand Kirkire and Tanveer Ghazi. Music label Zee Music Company.